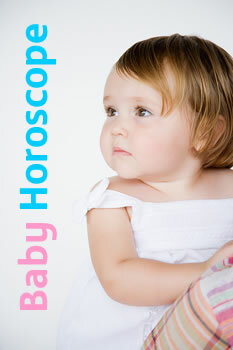 A baby horoscope looks similar to an adults but the analysis accompanying it is written specifically for parents and primary caregivers. It explains a child's personality, how they see the world, communicate, and relate to others. This insightful astro-analysis will give you a good impression of a newly born's personality traits and behaviour and through this, you will get an idea of the part you can play in helping them achieve their real potential. The early years of a child's life are important. Eighty-five percent of brain development occurs between the time of conception and the age of 5. These years are the most important time in the development of a child and parental awareness and care through these early most impressionable years can and will make a difference towards his lifelong well-being and success. An astro-analysis provides a wonderful tool for you to help a child navigate childhood. It will give you a better understanding of your child and greater knowledge on how to unlock his potential. The report may for instance suggest skills or interests they might enjoy and you could help through supplying him with opportunities to develop these. An ideal Gift for new parents, or a unique gift for a Child's first birthday, Christmas or other event. A time of birth is crucial to the accuracy of the report - so check this out before ordering!